﻿We have the greatest fans! Thank you so much for your help! We are going to be at 40K before we know it. 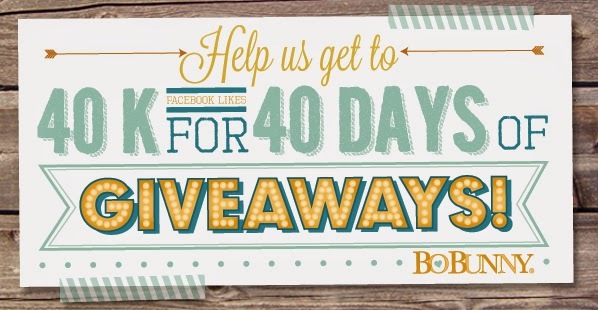 Please continue watching our Facebook and encourage your friends to "LIKE" our page so that we can start our 40 days of giveaways! We have more NEW product which will be available soon! 2 new Double Dot colors that will coordinate with 2 of our new collections! That's not all, we also are bringing you 3 new large stamps! Watch our Facebook for a chance to win all this new product! Your double dots are what drew me to you way back when........so very pleased to see that you're continuing these classics and bringing out fresh new colors! Thank you! New stamps??? And you expect me to be patient??? I think I'll have to stalk my local supplier and sell a kidney so I can afford them. Or sneak them into the house as Bernii suggested. I miss so much the challenges of the month!!! That was my inspiration!